On a warm afternoon in a Dublin city back garden overflowing with plants, shrubs, apple trees and vegetables, an exceptional variety of bees and butterflies are flying from one flower to another. We are in no ordinary garden, however. We are in the biodiversity sanctuary of the creative entomologist, Nessa Darcy. Darcy is both a scientist and an artist with a background in printmaking. 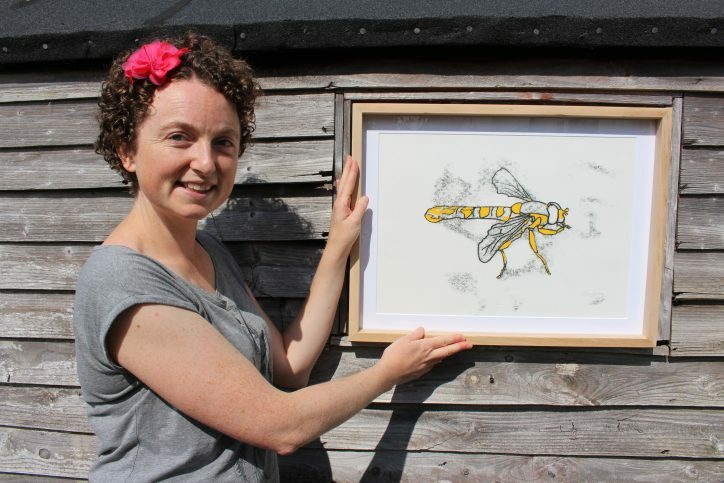 Combining her two passions, she creates art to change people’s opinion on insects, an oft-misunderstood group of living beings, and to promote their protection in the Irish wildlife. “I have always loved insects and I realized that they are a part of nature that people don’t easily engage with. They are absolutely essential to the functioning of the ecosystem. I just wanted to help people to love them as much as I do and learn how to care for them,” she says. “A lot of my paintings try to capture the beauty in the diversity of insects and show people the features that I see under the microscope. They give them their character,” explains Darcy. Insects in Ireland are not adequately protected, she says, with the intensification of agriculture over the past 50 years and increase in herbicide use a major threat. “People want their garden to be tidy, straight lines, short grass. We really need to embrace the idea of natural and wild as beautiful. That’s the key to protect insects,” she says. Darcy’s pollinator paradise is located in the garden of her father, who, she jokes, has been influenced by her “bullying him over the years to look after nature”. The creative scientist also organizes workshops with children to teach them to identify different species. Although some kids are squeamish at the beginning, they are also very excited to meet the insects and to hold them in the hollow of their hands. A 2016 study in Nature Communications found that just two per cent of wild bee species are responsible for pollinating 80 per cent of the crops that we rely on for food supply. One-third of the 99 Irish bee species are also facing extinction. The obvious solution is to stop contributing to their decline through the excessive use of pesticides. 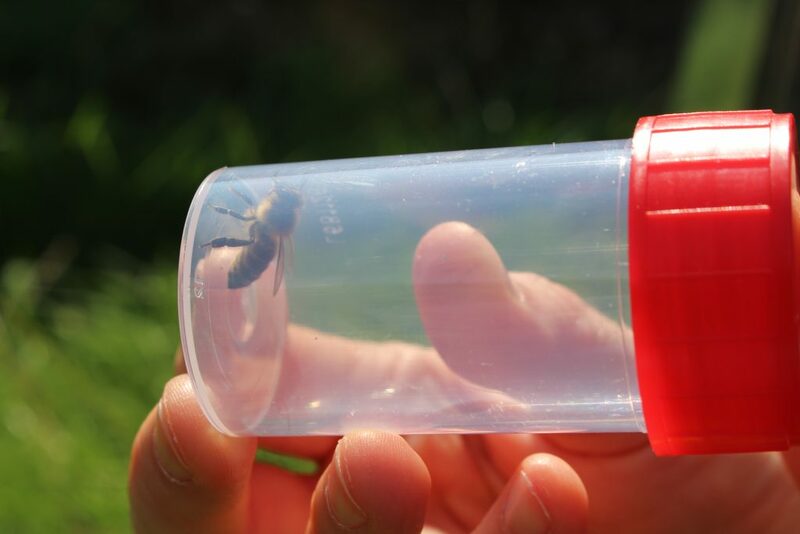 Dr Una Fitzpatrick, the coordinator of the All-Irelands Pollinators Plan project, told The Green News that mowing grass less, reducing the use of chemical sprays in our gardens and planting more bee-friendly plants are other ways to save the bees. Allowing six weeks rotation for the grass to grow longer or leaving a small space of unmowed grass would allow wildflowers to grow and provide more food for pollinators.